Poker Texas Hold'em – game rules. 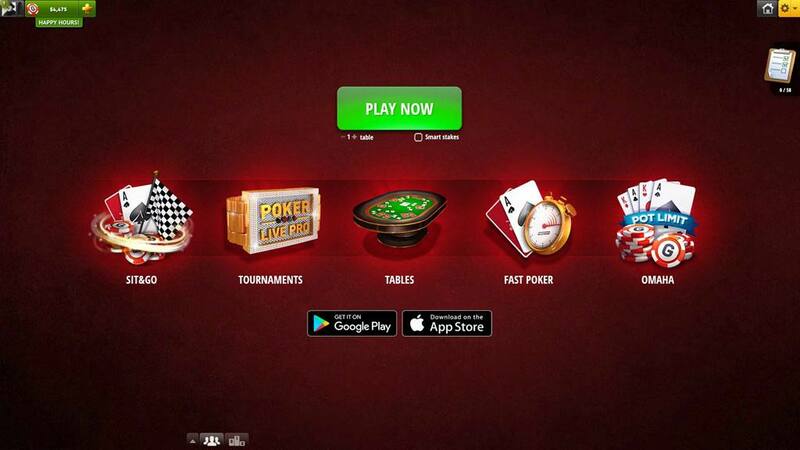 Interfața utilizatorului – see how to play Poker Texas Hold'em on GameDesire! Aproape că poți pune mâna pe premiul! Joacă să câștigi! 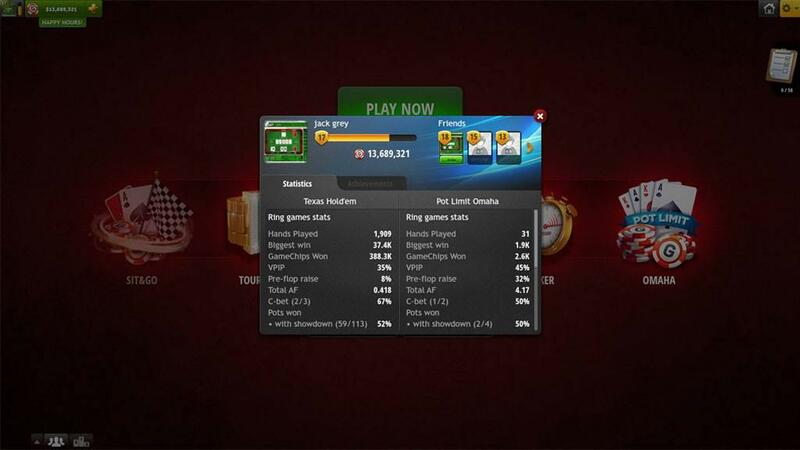 Ring games and Tournaments are placed in the middle of the screen. Below there is a Sit & Go section and the Most Effective Players box. Uppermost section of the screen is occupied by the panel that gives easy access to numerous features like: Player's profile, account balance, Rakeback statistics (purse icon) and payments (plus symbol). 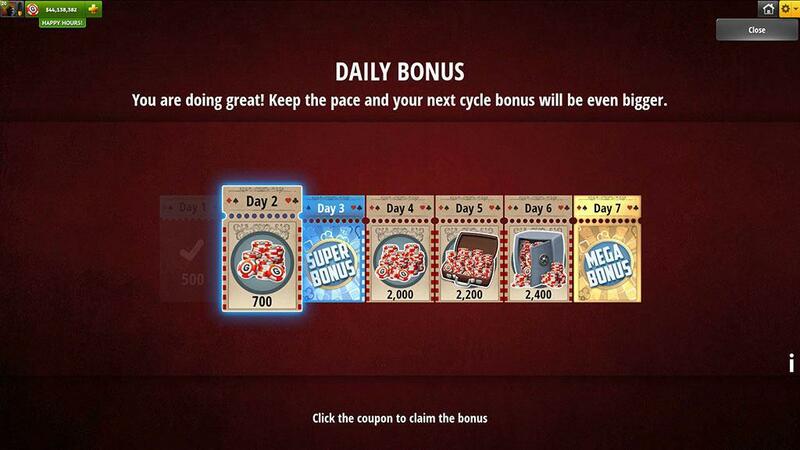 Additionally, there is information about Jackpot and number of players visible in the central part of the screen. In this section the player can choose game stakes using + / - selector. Change of stake will also display a number of available tables for each stake. Choosing the yellow "Play Now" button will automatically place the player on an available seat at a table with matching stake. By clicking "More" you can view a list of all available ring games at any stakes you desire to play. Information displayed in this section covers all important tournament data: tournament name, buyin, prize pool, number of registered players and time left to start. By clicking Yellow "Sign Up" button players will be registered to the featured tournament. Highlighted "More" next to the Tournaments headline opens Tournament Lobby that allows to browse through all accessible tournaments. Available by clicking on Player's avatar. This window is divided into two separate sections. Upper section allows filtering tables by chosen criteria (game stakes, table size) and joining a game which matches them by clicking "Play Now" button. Bottom section contains chat window and full list of tables with more detailed information about game stakes, number of players, the seats they occupy and the average pot. A Player may click "Sit" to take selected seat or join as observer by clicking "Watch". Upper section allows filtering poker tournaments by selected criteria (type, buyin) and joining the tournament best matching the selection made. The bottom of the screen contains the chat tab, list of tournaments to which player is signed-up and full list of available tournaments with details about buyin, status and number of players. Next to the list there is detailed information about chosen tournament. Top-left corner of the screen is occupied by the panel that gives easy access to numerous features like: Player's profile, account balance, Rakeback statistics [purse icon] and payments [plus symbol]. Below, under the Player's picture there are current and last hand number. By clicking them a player may review detailed game history. Top-right corner is occupied by additional table configuration options, such as: Screenshot tool, Table stats, Table appearance customization, audio control and "Leave Game" button. 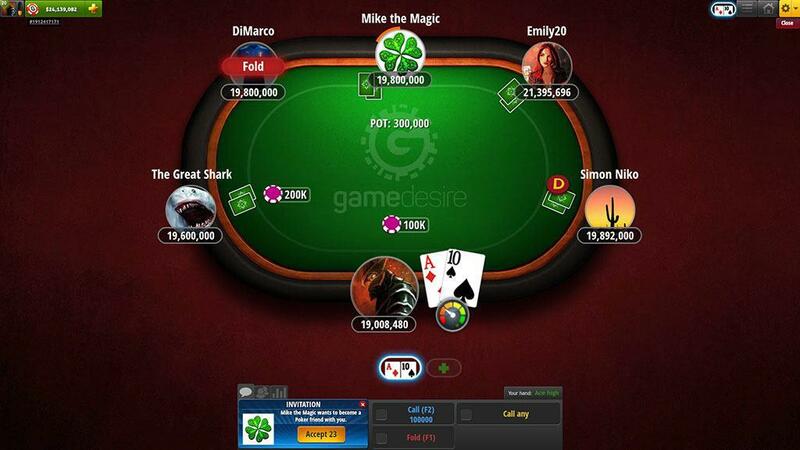 The lower part contains tabs for Chat and Players at the table as well as available betting options. In the bottom-right part of the table view, there is a section with betting options. During the game players have to decide about their actions depending on cards they receive, the ones available on the table and other players' decisions. During the game, just above the betting options, players can see their actual hand strength. Messages written by players are visible along with system messages. Additional tabs are created for private chat with other players. The Players tab allows browsing through list of players which are currently at the table (including observers) and show details such as their experience level, account status, nationality or GameChips amount.